Miss Gabrielle Ray, married on Thursday in the Royal Borough of Windsor, might be called “The Queen of the Picture – Postcard.” Something like 10,000,000 postcards, representing Miss Ray in thousands of poses, have been sold during the last few years. Curiously enough, says the Star, women and young girls are the principal purchasers of these cards, and the most popular pose is the in which the pretty actress dressed as the boy in Millais “Bubbles.” In addition to her picture-postcard popularity, Miss Ray is one of the most piquant personalities the musical comedy stage. Her voice, though thin and piping, seems to have a peculiar fascination, while her dancing quality all its own. The bridegroom, Mr. Eric Loder, is said to be a wealthy young man. He comes of a well-known sporting family, his uncle, Major Eustace Loder, won the Derby with Spearmint. His brother, Mr. Basil Loder, resigned from Army four years ago in order to marry one of Mr. Seymour Hicks’s “Gay Gordons” girls. Miss Gertrude Robins, Miss Pauline Chase, Miss Nell Carter, Miss Phyllis Beddells, Miss Laura Cowie, Miss Phyllis Dare, Miss Iris Hoey, Miss Dolly Castles, Miss Marie Lohr, Miss Maud Allan, Miss Lilian Braithwaite, Miss Constance Drever, Miss Cicely Courtneidge. Miss Gabrielle Ray, Miss Madge Titheradge, Miss Julia James, Miss Ola Humphrey, Miss Lily Shepheard, and Miss Audrey Ford were among the actresses who, in the “Salon of Fragrance and Fair Women” at Harrods, sold scent on Monday, Tuesday, and Wednesday in aid of the Prince Francis of Teck Memorial Fund. Musical comedies enjoy a much larger proportion of long runs than other classes of plays, but even among them the two years uninterrupted run which “The Merry Widow” completed at Daly’s on Tuesday night is phenomenal and is unmistakable testimony to the charm of the piece and of its acting by the clever company at Daly’s. Probably no other piece has had so many revenuers, and it is credibly reported that one enthusiast has witnessed it no fewer than a hundred times. It goes without saying that the revenuer and others made up a bumper house on Tuesday night and that the piece went with more than usual verve and dash, while the popular favourites received very flattering tributes. 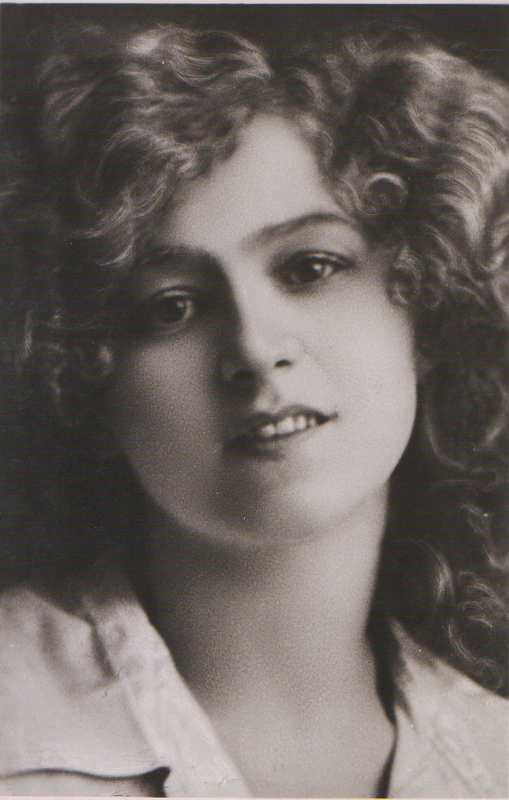 Miss Lily Elsie, whose success in the part of Sonia has been so emphatic, was easily first in the award of honours, but Miss Gabrielle Ray, Miss Mary Grey, Mr. Robert Evett, Mr Joseph Coyne, Mr. W. H. Berry, and Mr. Fred Kaye had a due share of the enthusiasm. At the end Mr. George Edwardes was persuaded into a speech, in which he announced that in a few weeks “The Merry Widow” would make her last curtsey. “I want her to retire while her charms are still fresh, her beauty unimpaired, in place of becoming through old age the object of your neglect.” In September he would produce “The Dollar Princess,” which, he trusted, they would find a worthy successor. Miss Lily Elsie will be “The Dollar Princess” when that opera is presented at Daly’s in September, and Mr. Joseph Coyne will play the leading man’s part. A daughter has been born to the wife of Mr. Eric Loder, at Woodlands, Farnham Common.